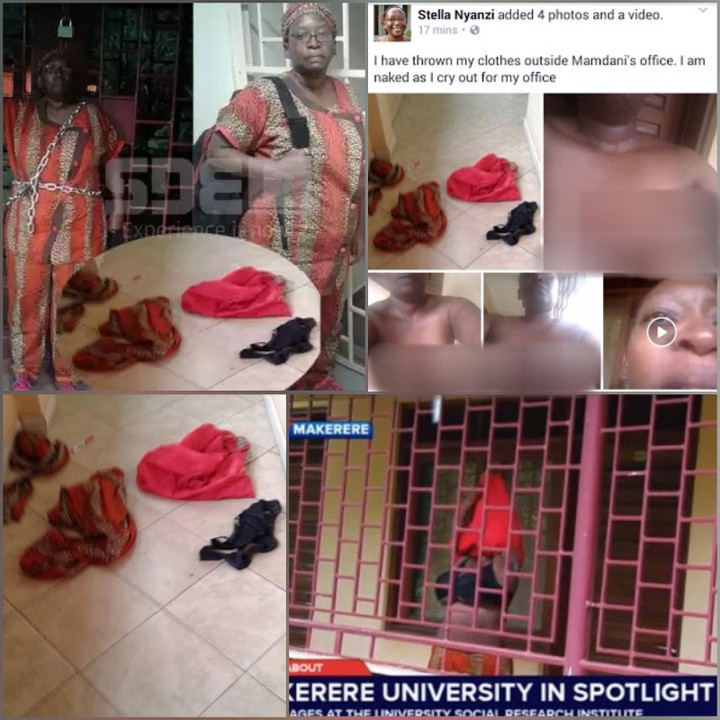 A female lecturer of the Makerere University known as Dr. Stella Nyanzi, stripped herself to protest eviction from her office at Makerere Institute for Social Research (MISR). 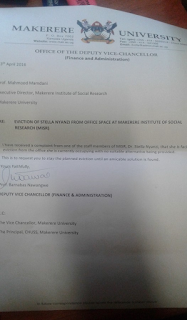 programme at the Makerere Institute of Social Research (MISR). According to the MISR website, Stella Nyanzi is a medical anthropologist with a PhD from the University of London. Before stripping, Nyanzi shared photos of her locked office terming it as “oppression” and threatened to “UnCloth herself to the Unclad”. Now that her office had been closed for three days today, Dr. Stella Nyanzi decided to take action by proceeding to Mamdani’s office where she undressed and deposited her pieces of clothing at the door. “My clothes are on the floor. I want my office. If you have locked me out with one padlock…Mamdani, I want my office,” protested Nandi on Facebook after removing her clothes,and posted the photos and the rather explicit video on Facebook.